Wondering how some people are able to work more and effectively with different tasks!! The right tools can really help you be more productive and grow your business. Here is a list of 14 smart productivity tools that I use to help me grow my business while doing less. I use a lot of productivity tools that help me run my business effectively. Let’s look at them. Do you find yourself opening up too many tabs on your web browser? You were trying to complete one task but got distracted by your browser. Well, the Momentum helps me to stay focused, and productive by reminding me what ONE task I’m working on whenever I open a tab! Love it!! The best part about this is that it has a personal dashboard featuring a to-do list, weather, and inspiration with a daily photo and a quote. It helps me eliminate distractions and overcome procrastination with a reminder of focus for the day. In addition, it has To do list integrations: Asana, Trello, Todoist, GitHub, Wunderlist, Google Tasks. Focus@will uses specially recorded Music as a medium to help me focus. The music uses binaural beats which creates a focused state in the brain. You need to listen to the music through headphones as it plays sounds of 2 different frequencies in each ear. It reduces distractions, maintain productivity and retain information whilst I am working. Try out different channels for different moods. My favourite ones are the Chill and Baroque Piano channels. I can see all my information on just one dashboard. It can be used with any browser and can be installed as a Microsoft Outlook plugin. My entire days/weeks plans are planned through Nozbe. It is hands down the most amazing productivity app. It follows the Getting Things Done ® methodology. It’s super simple and intuitive to use. 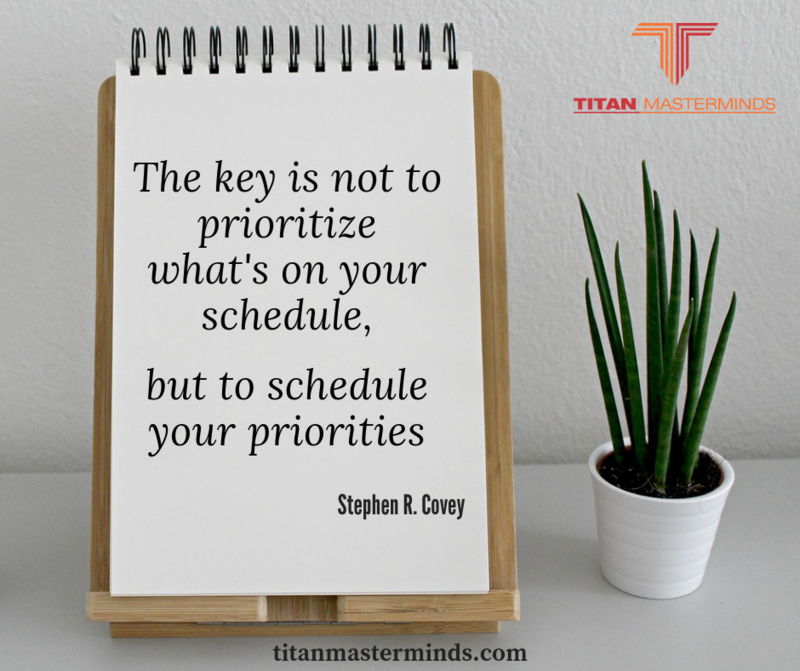 I am able to prioritize manage my task and get them done quickly and effectively. I can collaborate more by sharing, delegating tasks. Stay on top of all your business and personal projects. Use templates to save time when using repetitive tasks. I love the huge range of different repeat task variables from a simple weekly to a more complex every first Monday of the month. I have not seen this level of functionality on any of the other apps I have tried previously. It plays with your Evernote, Google, Microsoft Office, Dropbox and many more. It is also very secure and works on any kind of devices or operating system. Most of you would be already using Evernote. This is my digital notebook or my digital brain. I use notebooks for various projects. My goal setting, business plan, blog writing and lesson plans are all created on this. I also use the paid version to organise my business cards. I take a photo of the business card on my phone on the Evernote app and it automatically connects to that person’s Linkedin profile and fills in gaps and stores in a notebook. It helps me stay more organized, plan, keep a record and manage projects from any device-even offline. I can prioritize projects, ideas and capture web pages using the web clipper. Coschedule helps me to schedule all my blog and social media posts well in advance across all social media platforms. It’s a single platform to sync all my favorite tools and social media which help me increase my website traffic. Hubspot is the CRM tool I use. It integrates with Gmail and helps me track all the conversations I have had with my prospects, leads, and clients. I can log on my calls and meetings too. It provides me with a history of all the communication I have had with a client. The sales tool, helps me manage my deal pipeline as a lead goes through various stages of the sales process. Never lose a sale. The visual snapshot makes it a cinch to stay on top of all my leads. When your mailbox is flooded with emails and this is a distraction your from working, Timyo comes to your rescue. It lets you know at a glance if and when an email needs to be responded. You can schedule when to deal with your emails under your own terms. You can now stop wasting time with irrelevant emails and focus on what matters the most! Works with Gmail, Outlook and more. Learn more about this in my blog here. Zapier is an amazing automation tool. It connects the apps you use every day. It let’s different apps and software connect to each other without tech expertise through “zaps”. For example, your lead is captured by a form on your website and is added to your email marketing list using a “zap”. Another zap adds it to your CRM software and then you can get an automated Gmail with a lead summary at a specific time on Gmail every day. It helps me to automate my routine tasks. It literally works with hundreds of different software and apps. It’s well worth the subscription. You can build a workflow very easily here. It integrates well with apps such as Facebook, Slack, Quickbooks, Google sheets, Google doc and many more. GetResponse is an email marketing tool on steroids. It has features which range from email marketing, landing pages, marketing automation and webinars all on one connected platform. I use this to create effective email campaigns. I can schedule my newsletter and articles through this and is a good choice for your digital marketing. It helps me convert prospects into customers. Lots of flexible templates make it easy to schedule emails. Easy to customize and design newsletter, landing pages, and integration with Google analytics. Yoast is an SEO WordPress plugin. I use it to write great blog posts that are SEO friendly. SEO helps me increase my website traffic by optimizing the content. You can enter a keyword or a key phrase we like your post or page to rank in the search results. They then run a check on the content to analyze whether we are using enough keywords at the right spots. Grammarly is another app which most of you must be aware and might have it on your system. It is a free automated grammar checker with a chrome extension that easily improves your text. It helps me spots any grammar errors, checks for plagiarism, and it enhances your vocabulary as well. I can track everything right from social media, analytics, marketing, sales, accounts in one dashboard through Cyfe. It monitors everything, Provides real-time reports in different formats. It helps in planning, scheduling and managing social media campaign across social networks. Pulls data from different services using pre-built widgets. I highly recommend this software for your business intelligence dashboards: Cyfe.com. Try it out for FREE. You will be able to connect it directly to your Google analytics accounts and most social media accounts so that it is able to pull data directly into your dashboard. For a 20% discount, if you decide to go for the paid premium version please use the code: NEERAJSHAH. This is one productivity tool has made our work so easy. It gives us the power of an Enterprise Resource Planning (ERP) software at a fraction of the cost. It makes it easy to collaborate, easy to access files and documents, compatibility, cloud storage, easy to retrieve data. A lot of apps integrate very easily with Google. Easy to add a lot of chrome extension. Google analytics is one step ahead. Which tools do you use to increase your productivity? Like, comment, share!